Well, this exists. I still can’t believe they made a movie about Battleship, but they did, and, against my better judgement, I watched the thing. It is not very good, but I would be lying if I said that I didn’t enjoy myself while watching it. Battleship is a big, dumb (oh so very very dumb) fun alien-invasion movie based off of what was originally a pen-and-paper guessing game. This is the second of the two box office disasters for Taylor Kitsch in 2012 and the acting debut no one ever wanted Rihanna to have. There is also a former Sports Illustrated swimsuit model (Brooklyn Decker) and the increasingly stern-faced and action-based Liam Neeson. Oh, and there is CGI. One mustn’t forget the CGI. Alex Hopper is a Navy man like so many seen onscreen before. He’s undisciplined. He’s a bit of a cad. He’s constantly getting disapproving glares from a father-figure-to-be. He is also never not the smartest person in the room. Not once in this movie is there a more gifted Navy man than Hopper onscreen. If you were to guess that at one point he would be threatened with a discharge for his untamed ways, you would be correct. If you were to guess that he would have a surprisingly heartwarming bromance with someone he originally clashed with – well you probably wouldn’t guess that, but it ties in nicely with the comparison I am about to make. Alex Hopper is Captain James T. Kirk from the Star Trek reboot. To say that Kirk’s emotional arc in Star Trek was original or unique would be farcical, but the comparison works on essentially a scene by scene basis. To be fair to Peter Berg and the people that actually had the hubris to think making Battleship would be a good idea, Captain Kirk didn’t get to make out with Brooklyn Decker. That part of the character arc is new, and I’m sure many a thirteen-year-old boy thanks them. Liam Neeson is an actor of poise, skill, and class. He also knows how to take a paycheck: he takes a paycheck in Battleship. He plays the kind of role here that is so often portrayed in film by just about every actor above the age of, say, fifty: the disapproving, slightly frightening, father of the hero’s girlfriend. If there is one thing Liam Neeson, or at least the Liam Neeson of the last five years, is good at, it is intimidating, well, everybody. He plays the protective father, who is also conveniently an admiral, and not much else. He does it well, but he was definitely only being paid to have his name put on the poster and his voice in the trailer. But what a name it is. I don’t know what to say about Rihanna. I really don’t. Her character was probably the closest thing to a lead after Taylor Kitsch, but her character was never anything other than superfluous. Her character does everything, she is part of combat missions, she is a navigator, she may or may not be a communications specialist. I understand consolidating the large support staff of a Navy destroyer into a few key players, but I do not understand the need to use the same character in multiple contradicting roles. Rihanna should not quit her day job, but she isn’t exactly what I would call terrible. But her character definitely is. She’s emoting as fast as she can. There is a terribly predictable subplot involving Hopper’s bikini-model physical therapist girlfriend and a crippled veteran who she is working with. The pair must confront the aliens or something in order to save the planet or something. It didn’t make a lot of sense, and it was mainly an exercise in superfluity. The acting in the story-line was actually some of the strongest in the movie. It wasn’t actually strong, but it was stronger than most of what we got in Battleship. Aside from the work of Kitsch and Neeson, who are both good in their roles, if unexceptional. The biggest surprise of Battleship, for me at least, was the fact that they actually incorporated the board game in a legitimately clever way. Seriously. I was pleasantly surprised that the film had devised a way to incorporate the grid system of the game into the story, that actually made sense within the confines of both. Battleship is not any sort of accomplishment for any of the parties involved, but successfully adapting a board game to the screen (or at least successfully adapting the manner in which that board game is played) is something to be commended. The special effects in Battleship are proficient in the same manner most big blockbusters these days have decent effects: they look good, but are oh so very boring as well. 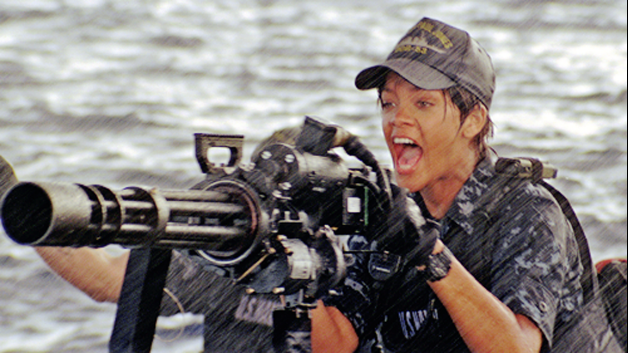 Battleship is, in a lot of ways, just Transformers with aliens and naval warfare instead of aliens and Michael Bay. Please note that Battleship is better than the Transformers movies, because, well, Battleship actually has something akin to an actual story. Battleship looks pretty, but explosions do not make up for amateurish dialogue and a computer-generated humanoid figure is a bit different from being an actual character. What can I say about Battleship that has yet to be said by someone: it is a big, heaping pile of predictability, mediocrity, and unwarranted grandiosity. It has also has gotten an unnecessarily bad reputation. It may definitely be all of those somewhat negative things I just called it, but it is also passable popcorn fare and is enjoyable enough to be watched while only having to do so in a slightly ironic manner. They surprisingly did not sink this Battleship. This entry was posted in Movies and tagged Action, Alexander Skarsgard, Battleship, Brooklyn Decker, Hasbro, Jesse Plemmons, Liam Neeson, Peter Berg, Rihanna, Science-Fiction, Taylor Kitsch on February 14, 2013 by James Lambert. Firefly is renowned for its more philosophically hefty episodes, and the third episode, “Bushwhacked”, was the first in the series to really delve into truly dark territory. “Bushwacked” sees the crew of the Serenity coming across an apparently abandoned transport ship in deep space, but the truth of what happened might just be something they aren’t prepared to face. This episode was both directed and written by Tim Minear. After a pickup game of some sport vaguely related to basketball, the Serenity comes across a ship built to transport families to the outer planets that has apparently been abandoned. On a salvage mission to the ship, Mal and his crew discover that the crew didn’t abandon ship: they were slaughtered. They rescue one man from the carnage, but the savage, unflinching brutality of what he had witnessed the Reavers do to the other passengers on the ship may have shattered his hold on sanity. A chance encounter with an Alliance ship, and a misunderstanding between them, threatens to put everyone on board both ships in danger. This is a picture of the cast. This is the first time when we really get to see what the Reavers are capable of. They were a significant presence and one of the drivers of the plot in the pilot, and while we still don’t see one in the flesh here, we get the impression of what they do, and not just hearsay, and it isn’t pretty. The Reavers, at least at this point in the Firefly universe, are more of a conceptual threat than a physical villain. They are the darkness that lurks within and the bestial nature that we all struggle to keep below the surface. Their mere mention turns Mal, rarely without a quip, solemn, and makes Jayne, typically itching for a good fight, fearful. This is also the first episode where we get a legitimate look into the Alliance and its workings, and not just the secondhand, and admittedly skewed, opinions from Mal and other crew members. The Alliance is still portrayed in a primarily negative light, being shortsighted, wasteful, prejudiced, etc., but there is shown to be a greater thoughtfulness beneath the veneer. The Alliance hounds the crew of the Serenity unfairly, but they believed, and not without good reason, that they may have slaughtered the people aboard the transport ship. In addition, the captain of the Alliance cruiser is shown to take Mal’s advice, despite the violation of the traditional bureaucratic process after gaining a better grasp of the entire situation. “Bushwhacked” is an episode that gives a lot of insight into the characters on board the Serenity. Simon, while not a fighter by any stretch, is shown to be one of the more resilient and least squeamish members on the ship. Jayne’s terror at the prospect of even seeing the Reavers’ handiwork indicates much about what makes him tick. Mal’s more overtly compassionate side is shown for the first time towards outsiders, in this case the dead aboard the transport, while his ability to calculate and manipulate those around him is further exemplified in the same instance (an interesting combination). The entire cast is given room to flex their acting muscles in this episode, and all of them are up to the task. Nathan Fillion does some of his strongest work in the series during this episode when he is confronted with the dilemma of what to do with the survivor of the Reaver attack. Sean Maher’s performance is less stiff than in the previous episodes, as his character is increasingly comfortable aboard the Serenity. The rest of the cast, Baccarin and Baldwin especially, is also superb throughout the episode. The third episode is a strong one, and the earliest episode to demonstrate the more philosophical bent in this sole season of Firefly. “Bushwhacked” is one of my favorite episodes from the entire series, and maybe the best, as far as I can remember, before the halfway point of the series. This entry was posted in Television and tagged Adam Baldwin, Alan Tudyk, Firefly, Fox, Gina Torres, Jewel Staite, Joss Whedon, Morena Baccarin, Nathan Fillion, Ron Glass, Science-Fiction, Sean Maher, Serenity, Space Western, Summer Glau on February 10, 2013 by James Lambert. Over the past couple of decades, the primary location where video games are played has shifted from the arcade to the living room, and while the graphics may be improved, the nostalgia for those quarter-to-play games remains. Wreck-It Ralph taps into this nostalgia and focuses on the characters living inside the arcade-games, particularly Wreck-It Ralph, the bad guy of the game Fix-It Felix Jr.. The film is produced by Walt Disney Animation Studios, and directed by Rich Moore. The voice cast includes John C. Reilly as the titular Ralph, Sarah Silverman, Jack McBrayer, Jane Lynch, Alan Tudyk, Mindy Kaling, Ed O’Neill, and Dennis Haysbert. 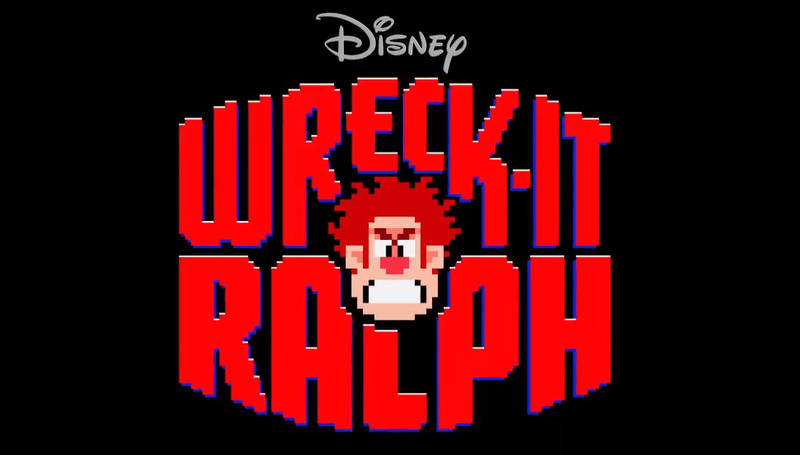 Wreck-It Ralph (John C. Reilly) is your typical arcade villain, he spends his days wrecking buildings that are destined to be fixed by Fix-It Felix Jr. (Jack McBrayer), and he spends his nights alone living in the junkyard while all of the other residents of the game live in a cushy apartment building. After going to a Bad-Anon (Bad Guys Anonymous) meeting, Ralph’s frustration with his lot in life builds to the point where he barges in on a party for all the citizens of the game, except for him of course. He then heads off to the central hub where all of the game characters from the arcade can mingle in order to find a game where he can finally gain some respect, and a shiny medal. After a mishap in a shoot-em-up game, he winds up in a Candyland inspired racing game where he must team-up with a glitching little girl, Vanellope (Sarah Silverman), who just wants to race. But a malicious King Candy (Alan Tudyk) desperately wants to keep Vanellope away from the racetrack, and isn’t afraid to go through Ralph to do so. 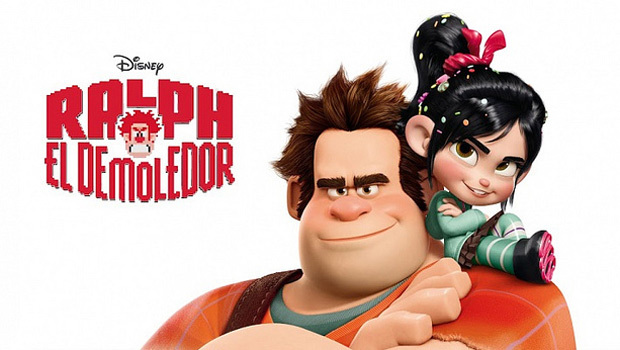 The voice-acting of Wreck-It Ralph is top notch, particularly the work of John C. Reilly in the title role. Reilly is one of the most underrated actors working today, able to be incredibly subtle while doing some outlandish comedy. His voice is naturally downtrodden, in fact I can’t recall one of his characters that is not at least a little bit depressed, so his casting as the frustrated and (wait for it) depressed Ralph was ideal. Reilly’s work is strong throughout Wreck-It Ralph, and his work anchors a film whose plot could have easily ended up being a framing device for sight-gags. Sarah Silverman, as the intriguingly named Vanellope, straddles the fine line of endearing and cloying when playing (voicing) spunky children. The character is surprisingly well-developed for a child in an animated film, but she is onscreen a little bit too much, and her antics get old rather quickly. Though, it must be said that she is an easy character to support. Jack McBrayer, of 30 Rock fame, is cast in yet another goody-goody role as the hero to Ralph’s villain. He is good-natured, but frustratingly naive about the ways of the world and the manner in which he treats Ralph. Jane Lynch provides most of the funny one-liners in the film as a hardened soldier programmed with the most tragic back-story ever (the only day she didn’t check the perimeter was her wedding day…). Her character is the stereotypical gruff, competent soldier type so common in just about every narrative medium, but it is very funny. Alan Tudyk plays the villainous King Candy and goes for broke with the over the top performance, but he is effective, and actually quite menacing, despite the pitch of his voice. The animation is, as is the case with most 3D animated films these days, superb and detailed. The sequences of 8-Bit animation give the film a large modicum of charm that many of the computer-animated films released these days lack. Having all of the characters exist in different arcade games allows for a variation of designs of the characters that actually makes sense, from the exaggerated features of those in Fix-It Felix Jr., to the anatomically correct sort-of-realism of those from Hero’s Duty, and just about everything in between (Pac-Man! Streetfighter!). And for once, the vast variations fit the story, and don’t distract from it. The settings are all detailed and visually resplendent, but none of them are all that interesting. It is either a town, or a battlefield, or “Candyland.” The central hub where all of the different characters is much more interesting, if less elaborate, but very little time is spent there. The story of Wreck-It Ralph is surprisingly complicated for an animated family film, but the execution of some aspects of the story-line, particularly in the third act, leaves a lot to be desired. Wreck-It Ralph is yet another animated film to end with an extended chase sequence, which may look pretty but are almost never tonally consistent. The ending of the film also redefines what it means to have a happy ending. I am, in general, not anywhere near a fan of endings that wrap up everything in a neat little bow, and that definitely holds true here. I liked the film, I truly did, but that doesn’t change the fact that the ending was sweet enough to give me a headache (context: really sweet things tend to give me headaches). Wreck-It Ralph is worth watching if only for the constant stream of references and homages to other arcade games. I couldn’t help but to get a kick out seeing Clyde, one of the ghosts from Pac-Man, running a support group for the antagonists of various games found in the arcade. Or seeing Ryu and Ken (from Streetfighter) going out for drinks after a long day of fighting on the streets (sorry for the wordplay). 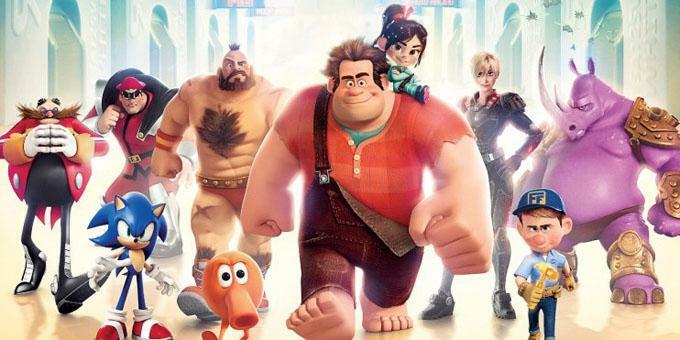 In this way, Wreck-It Ralph is not dissimilar from the Toy Story series which featured a plethora of various different toys both as characters and as cameos. Wreck-It Ralph is a very fun, very well-made and well voice-acted animated feature from the people at Disney, the concept lends itself to visual splendor and Wreck-It Ralph delivered on that promise. This is not a great film, the story is too easily resolved and the plot is more than a little bit hectic, but it is definitely worth watching, for both children and adults, who will probably actually get more out of it than younger viewers. This entry was posted in Animation, Movies and tagged Action, Alan Tudyk, Animation, Comedy, Dennis Haysbert, Disney, Ed O'Neill, Jack McBrayer, Jane Lynch, John C. Reilly, Mindy Kaling, Rich Moore, Sarah Silverman, Wreck-It Ralph on February 8, 2013 by James Lambert. 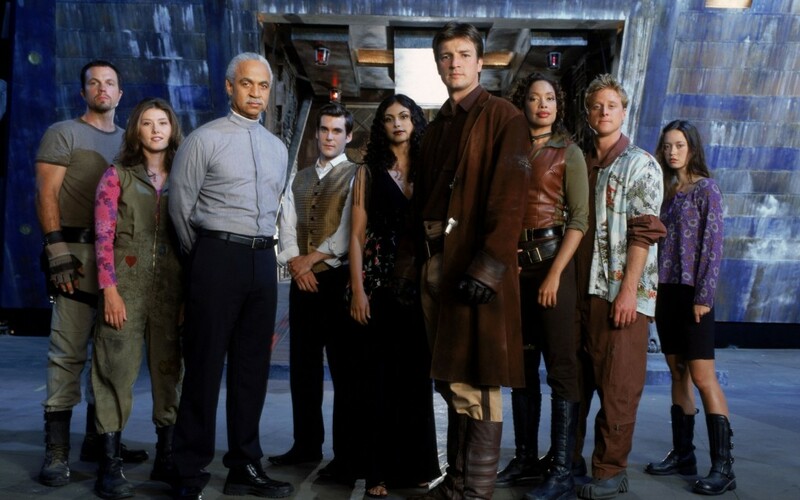 So now it is time for part two of my Firefly rewatch, with the second episode chronologically, and the first one aired: “The Train Job.” This episode functions as a second pilot for the series, reintroducing most of the main characters in a more action-packed manner than the real pilot. This episode also includes the introductions of several recurring antagonists, and sees the crew of “Serenity” plan a train heist. Read my thoughts on the first episode here. Following a bar brawl in which Mal, Zoe, and Jayne engage in fisticuffs with former Alliance soldiers, the crew meets with Adelai Niska, a crime lord with a vicious reputation. The job involves going to a small planet on the outskirts, and stealing several crates of alliance goods off of a moving train. Mal and Zoe’s infiltration on the train leads to a successful theft, but complications prevent their clean getaway. The revelation that the items stolen contained the medicine needed to treat a degenerative disease most of the citizenry of the population have causes a moral dilemma for Mal, while the other crew-members of the Serenity ponder what to do in regards to the missing Captain, and the brutal crime-lord expecting them to return. This episode was reportedly written in two days by Joss Whedon and Tim Minear because Fox wanted something more exciting and suspenseful than “Serenity” as a premiere episode. The episode does a proper job introducing the main cast members, if in a less substantial way than the previous episode, but much of it feels redundant considering what had been seen prior, if watched in the proper order, that is. Many of the conversations feel like retreads of character interactions in the previous episode: Mal and Inara’s contentious manner of caring for each other, Kaylee and Inara’s sisterly bond, etc. The script is solid, but the rushed nature of it shines through, with an overly simple moral dilemma and significant overlap with the previous episode. The sequences on the train are suspenseful and possess good action-sequences without overwhelming the episode with them. The special effects remain excellent for a television show, but lack the cinematic feel of those found in “Serenity.” The town definitely plays up the western element of the space-western: a dusty frontier settlement needing medicine must fend off a train heist. This episode also continues the efficient manner in which Mal will take out his adversaries, he’ll just shoot, he won’t wax poetic on why he’s doing it. “The Train Job” introduced Adelai Niska, who would return in a later episode, and the “hands of blue” who are searching for River and Simon for the Alliance. This episode reveals more about River Tam, providing the first demonstrations of her prodigious intelligence, and sees her beginning to reveal minute bits of information regarding her time detained by the Alliance (“two by two, hands of blue”). Niska, as played by Michael Fairman, is a stereotypical crime boss, but a rather intimidating one. Fairman is hammy and serviceable in the role. The “hands of blue” are only seen briefly near the end, after being ominously mentioned by River throughout the episode. They are suitably creepy, but their presence doesn’t add anything to this episode, aside from indicating their malicious intent and their future presence in the series. This episode does provide more insight into several of the characters, notably Simon, River, and Shepherd Book. Simon’s quick thinking and surprisingly decisive manner of keeping Jayne from taking off without Mal and Zoe reveals much about the character. River is shown to be the genius, she was stated to be in “Serenity”, and hints into just how fractured her psyche is, and how it happened are present throughout the episode. Shepherd Book, revealed to be a surprisingly competent hand-to-hand combatant in the last episode, is shown to be knowledgeable of underworld dealings, which once again hints at a less than savory past for the man. In addition, Mal’s frustration with the Alliance and the Independents’ loss during the war is reiterated when he picks a fight in a bar on U(nification)-Day in a bar known to be friendly to the Alliance. I enjoyed this episode, though I feel it was one of the weakest during the show’s brief run. The action is exciting, and the special effects are good, if not quite up to the standard set by the first episode, and there are plenty of character moments. But the screenplay felt, and was, rushed, and there is too much overlap in terms of exposition between “The Train Job” and “Serenity.” Though one must remember, lesser Firefly is still excellent television. This entry was posted in Television and tagged Adam Baldwin, Alan Tudyk, Firefly, Gina Torres, Jewel Staite, Joss Whedon, Morena Baccarin, Nathan Fillion, Ron Glass, Science-Fiction, Sean Maher, Serenity, Summer Glau on February 3, 2013 by James Lambert. This is a year where quite a few of the animated films designed for consumption by children have taken cues from the horror genre, the films: ParaNorman, Frankenweenie, and, of course, Hotel Transylvania. 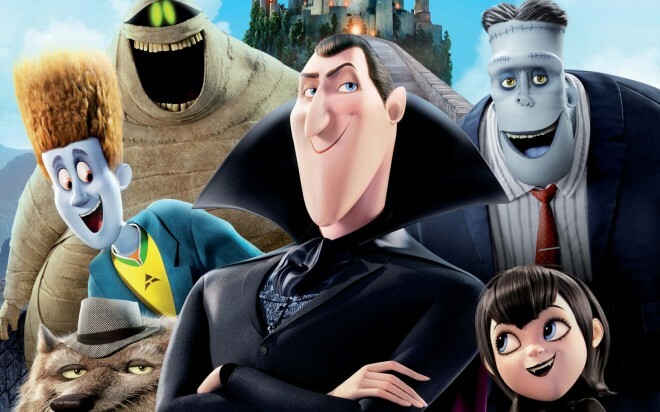 Hotel Transylvania transplants the monsters from the old Universal Horror series of films (Dracula, Frankenstein, The Wolf Man, etc.) to the modern age, throws in a resort run by Count Dracula meant to be a haven from us vile humans, and an adolescent vamp ripe for her first love. The voice-cast is chock full of names including, but not limited to, Adam Sandler, Andy Samberg, Selena Gomez, Kevin James, Steve Buscemi, David Spade, Cee Lo Green, Jon Lovitz, and Fran Drescher. 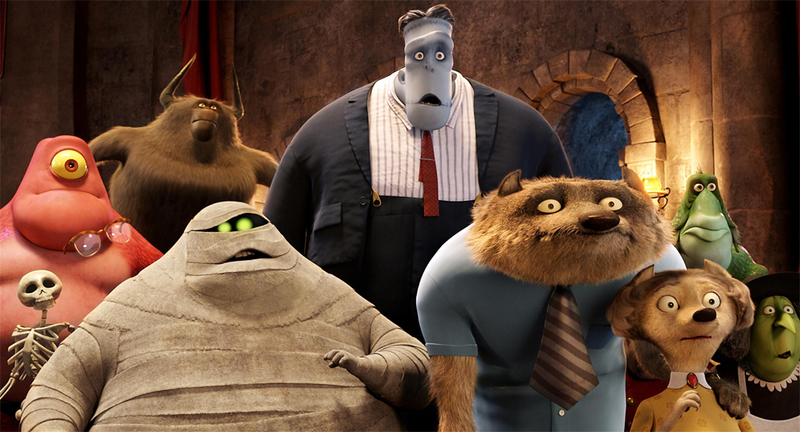 Genndy Tartakovsky directed and Sony Pictures Animation produced the inoffensive Hotel Transylvania. Count Dracula (Sandler) is your typical single dad, he hopes for his daughter to grow up happy and hopes that she never leaves the safe, secure home he has constructed for her. Mavis Dracula (Gomez), his adolescent daughter, is about to turn 118 and reach adulthood and she wants for nothing more than to be happy and leave the safe, secure home he has constructed for her. This home: Hotel Transylvania. The hotel is a resort destination for all sorts of ghouls and monstrosities, where they can seek refuge from the cruelty the humans will inflict upon them if their existence is discovered. The hotel is filled to the brim with monsters for Mavis’ annual birthday party, including Dracula’s close friends Frankenstein (James), Wayne, the Werewolf (Buscemi), Murray, the Mummy (Green), and Griffin, the Invisible Man (Spade). But all his party planning and helicopter parenting may be all for naught when Johnny, a twenty-one year old human (Gasp! ), shows up at the door with a stuffed backpack and a free-spirit that resonates strongly with Mavis. As Dracula seeks to hide Johnny’s human nature from his guests, he may find himself opening up to the world that spurned him and to finally become willing to let his daughter grow up. The animation looks fantastic in this film, and while the action onscreen is frequently busy, it is never confusing, which is a rather impressive feat considering that there are frequently dozens of different characters onscreen at once, most of whom are of a different species or subset of monster. 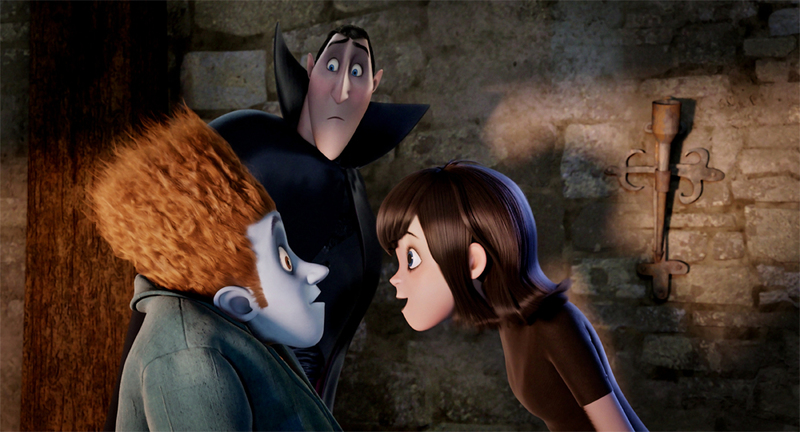 The character designs in Hotel Transylvania tend towards the more exaggerated, but it works well enough, and what is transpiring onscreen is sure to please the younger audience members viewing this movie. While this film is definitely technically proficient, it lacks in terms of story and characterization. As is the case with a good number of films, primarily those marketed at children, the story beats are all obvious from a mile away. That isn’t so much the problem, as is the execution of said story beats in Hotel Transylvania. The story in the film is cute, maybe even clever, but the script doesn’t mine any of the potential for anything other than the shallowest of interpretations of its premise. There are only three real characters in this film, and a bunch of celebrity voices who comment on the goings on of the Hotel Transylvania. Count Dracula is the only character with a real arc, coming to accept humans as not just being the roving bands of people brandishing torches and pitchforks, through his interactions with Johnny. Johnny and Mavis’ development essentially consists of them being the same at the beginning as they are at the end, accept for being, you know, in love. Hotel Transylvania is another one of those films that espouses the idea that if love isn’t instantaneous, it isn’t valid. For any of you out there who doubt that twelve or so hours is enough for a young adult to know if they want to be with someone forever and ever (it should be most of you), you may groan at this predictable development. I most certainly did. Like so many animated films, the climax of Hotel Transylvania takes the form of an extended chase sequence. This isn’t necessarily a bad thing, but this particular scene in which Dracula, Frankenstein, and friends run through a crowded village, has one of the most cringe-inducing, it is so sweet, plot developments I have ever seen. This is a film about what goes bump in the night, or what they do in their spare time, and it bothers me to see such dark material, or material that should be, turn into a “let’s all be friends” without any issues whatsoever affair. This type of dark material was handled more maturely, and better, in this year’s ParaNorman and Frankenweenie. The voice cast is competent, but it is filled with so many celebrities it becomes distracting at times. The lead trio of voice actors do their jobs well, but the remainder of the cast can’t help but to seem like the stunt-casting that they so obviously are. For example, Kevin James, Steve Buscemi, Cee Lo Green, and David Spade seem like they are only voicing characters in the film to provide “hey, that’s _______” moments for the parents watching in the audience with their children. Hotel Transylvania is a good movie for children. The animation is excellent and the monsters are vibrant and amusing, but the story is thin and devolves into an extended chase sequence near the ending. This film is not bad by any stretch of the imagination, it’s probably even Adam Sandler’s best movie in years (that is kind of sad), and it managed to deliver on everything that it promises, but it promised so very little. This entry was posted in Animation, Movies and tagged Adam Sandler, Andy Samberg, Animation, Cee Lo Green, Comedy, David Spade, Fran Drescher, Genndy Tartakovsky, Horror, Hotel Transylvania, Kevin James, Selena Gomez, Sony Pictures Animation, Steve Buscemi on February 2, 2013 by James Lambert. The internet is a place where anyone can put up anything for public consumption: artwork, writing, photography, and, of course, videos. I am willing to bet quite a bit of money, that I honestly do not have, that if you are here reading my blog, you have watched some sort of video on the internet before, probably quite recently, some of you (okay, a lot of you) may even have YouTube open in another tab right now. Prospective filmmakers have taken to the internet like slam-poets took to coffeehouses, and some of these projects are even pretty good. The Underwater Realm, is a series of five short films by director David M. Reynolds (view them on YouTube in HD here), totaling around twenty minutes of material, that document the few times that us surface-dwellers have come into contact with those living beneath the waves. From the heyday of the Roman Republic to the present day, these films show glimpses of a lost civilization living in the deeps. 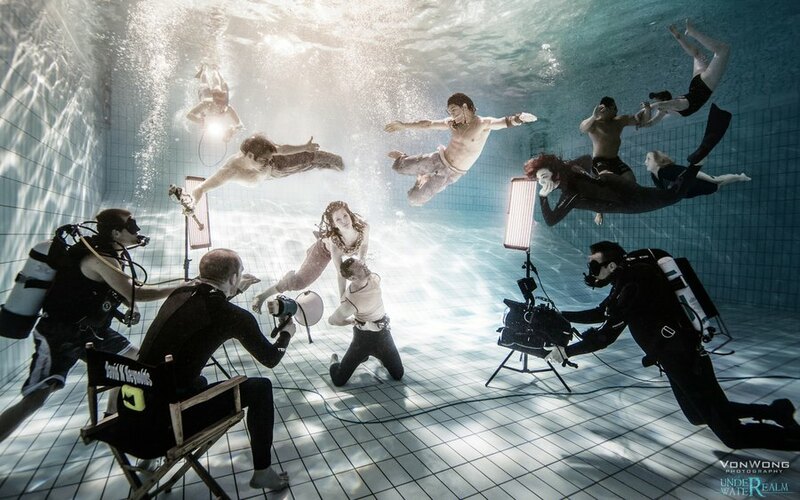 Reynolds makes use of new techniques for filming underwater, and the effect is quite interesting to behold. These shorts were released on Christmas-day of 2012. These five films take place, in reverse chronological order, in the present day, 1945, 1588, 1208, and 149BCE. The first focuses on a pair of honeymooners who go diving and see more than they were intending to. The second focuses on a downed fighter-pilot during the second World War as he struggles to escape from a potentially watery grave. The third sees a deckhand on a ship fighting the Spanish Armada that is sucked overboard after his ship is damaged in the fight. The fourth soon-to-be-submerged character is a young woman living Britain during the Dark Ages that throws herself off a cliff after her lover is killed. The fifth, and the only one from the point of view of those from the depths sees a young woman and her companions try to rescue a man thrown overboard, chained to a rock, before he drowns. The five films possess very little narrative cohesion, and they seem like, and almost definitely are, glimpses of the possibilities of a feature film featuring this world, and this technology, rather than a complete story in its own right. But I must hand it to the people at Realm Pictures, they manage to create a unique under-the-sea world with very limited screen-time and actually manage to insert some detail about the culture through subtext in the five shorts. For example, the people living on the ocean floor seem to become increasingly wary of those from the surface as the settings get closer to the present day. Also, as the culture becomes more wary of us, they seem to be less numerous, and less prosperous. Additionally, we view the same ritual performed twice, in events around a millennium removed from each other, and see how it has changed over the years, in both practice and effectiveness. The idea of Atlantis is always one that has struck a chord with humanity, the idea of a lost people, a more civilized, a more noble, a more pure people who have survived unchanged over the years, undisturbed by the failings of humanity. This idea is not just restricted to Atlantis, lost worlds are also quite frequent occurrences in myths and fiction, but there is something strangely beautiful about a people surviving, and thriving, in the depths we dare not seek. Atlantis appears in the myths of Greece and the world of superhero comics (DC’s Aquaman and Marvel’s Namor, the Sub-Mariner are each Kings of Atlantis) and just about everything in between. The Underwater Realm has taken the traditional idea of the people populating Atlantis and made them, seemingly, more tribal. In most renditions of the myth, Atlantis is usually a sunken city-state of Greece or something of that ilk. In these shorts, the people arm themselves with spears, they practice blood-rituals, and they are apparently more like the Aztecs than the Greeks or the Romans. Note, however, the glimpses we get offer little insight into their culture, just hints. The setting is well-developed, surprisingly so, and I would be intrigued to see more of this world. While the story is certainly intriguing, if frustratingly vague in parts, the best reason to watch these shorts is the fantastic underwater cinematography Reynolds and his team manage to pull off. The underwater visuals are extremely clear, but still seem like they are viewed through the lens of ocean water. The takes are long, and there are very few quick-cuts once the stories go beneath the waves, so the effectiveness of what is transpiring is maximized. The first short, featuring the honeymooners, has tension building throughout its five-minute run-time that is compounded by the lengthy segments without any cuts, and therefore breaths. The sequences taking place above the water possess some impressive special effects as well. The dogfight and naval battle scenes both have well-done special effects and CGI, and while they may not be as visually impressive as the segments underwater, they are certainly impressive in their own right. These five shorts have effects and cinematography that would be visually stunning for a feature film, let alone for online shorts, and there is little else to say on the matter. 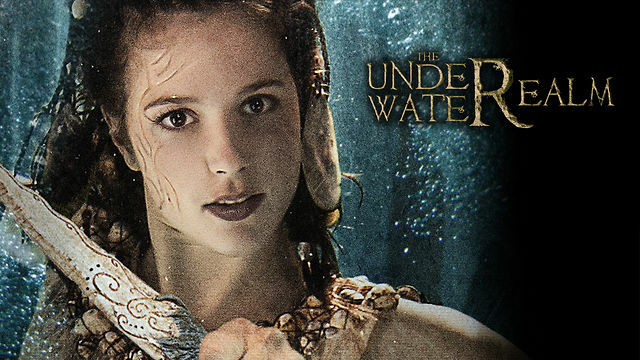 The Underwater Realm is one of the more ambitious, and well done, online film-making efforts to have hit the world-wide-web, and is well worth viewing for the stunning underwater cinematography, while the strong setting is just a bonus. David M. Reynolds and the people at Realm Pictures are clearly angling for a potential feature film with these shorts, and I definitely hope they get it, because I would certainly like to see more of the people populating this realm under the sea. This entry was posted in Internet Videos, Movies and tagged Atlantis, David M. Reynolds, Fantasy, Internet, Short Film, The Underwater Realm on February 1, 2013 by James Lambert.